Hosted 7 workshops on ecologically-based forest management, fuels reduction, biochar creation, and managing timber harvests and engaged 192 participants. Launched Woodfinder, an online search tool to help wood buyers find the FSC-certified products they need. 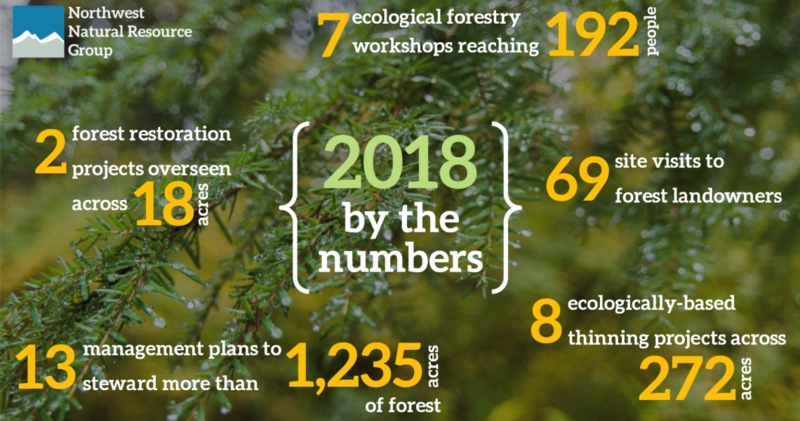 Conducted more than 69 site visits to forest landowners – including our FSC-certified members and beginning woodland owners. Completed 8 ecologically-based thinning projects across 272 acres. Wrote 13 management plans for small businesses, families, land trusts and conservation groups to help steward more than 1,235 acres of forest. Developed a guide on Biochar Production for Forestry, Farms, and Communities and conducted a Biochar Market Analysis for San Juan County and the Pacific Northwest. Created a Woody Biomass Calculator and accompanying Guidebook to help forest landowners measure woody biomass in their forests. Showcased the experiences of landowners who have harvested timber from their forests to improve diversity while also earning revenue. 145 members, across more than 200,000 acres throughout Washington and Oregon. 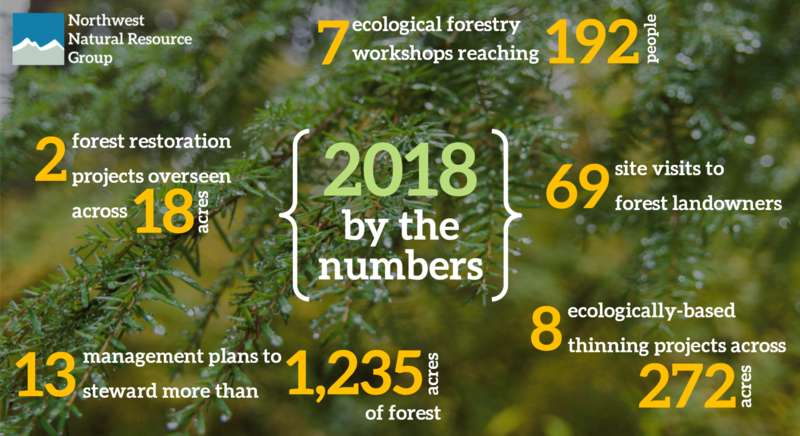 114 family forests and small businesses who steward the headwaters of major rivers, protect and enhance habitat for endangered species, support local contractors, and improve forest health, productivity and biodiversity. Our members own woodlands that represent an incredible diversity of forest communities found in the Pacific Northwest. They span the temperate rainforests of the Hoh River valley to the ponderosa foothills of Leavenworth. They range from the coastal forests of Port Orford cedar and myrtlewood on the southern Oregon Coast, to the oak woodlands of the Willamette Valley and San Juan Islands, to groves of giant western red cedar tucked into the Willapa Hills and along the flanks of Mount Baker. And of course, all of our members grow Douglas-fir, the iconic signature species of our region. Our members produce a range of products: biochar, broom handles, cedar fence posts, cedar siding, cutting boards, dimensional lumber, essential oils, firewood, flooring, knife handles, meditation benches, tiny house kits as well as utility poles, saw logs, chip’n’saw, and pulp.